Nothing snags attention quite like bling. Flashy, brilliant and in your face, it can’t help but catch eyes and turn heads. That’s what the Hopkins Center for the Arts at Dartmouth College is banking on with Radical Jewelry Makeover, a showy pilot project that bears the tagline “Creativity. Sustainability. Bling.” The Hop is rolling it out to herald the launch of its new Community Venture Initiative (CVI), which will boost community arts programming throughout the Upper Valley in coming years. Radical Jewelry Makeover is a multifaceted project with a sustainability theme, implemented in partnership with Ethical Metalsmiths, a national, Ohio-based nonprofit that promotes ethical mining practices. A second pilot program with a recycling and sustainability theme called Bash the Trash — which will invite the public to create musical instruments out of trash and hold local concerts — is also scheduled for this spring. The Hop’s leadership anticipates that CVI’s long-term programming will involve a series of public art projects, workshops, exhibits and lectures. The two pilots have educational, community-building facets, but they were also selected to make a splash. CVI wants Upper Valley residents to know that more deliberate and long-term programming from the college is in the works, says Hop programming director Margaret Lawrence — and that community input is being sought to dictate what those programs will be. Radical Jewelry Makeover opens with a months-long “community mining” jewelry-donation period. 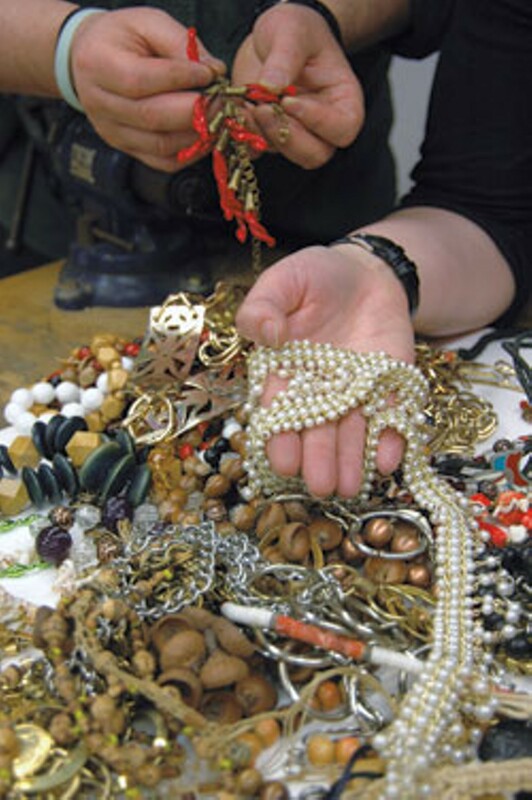 Through February 28, residents of the Upper Valley and surrounding communities can contribute unwanted jewelry — broken pieces, single earrings or anything cluttering up vanity drawers. Donations may be mailed in or dropped off at several locations around the Upper Valley, including the Hop’s box office, Revolution boutique in White River Junction and several branches of the Mascoma Savings Bank. On April 12 and 13, jewelry-making workshops with a capacity for more than 100 participants will be held at the Hop’s jewelry studio. 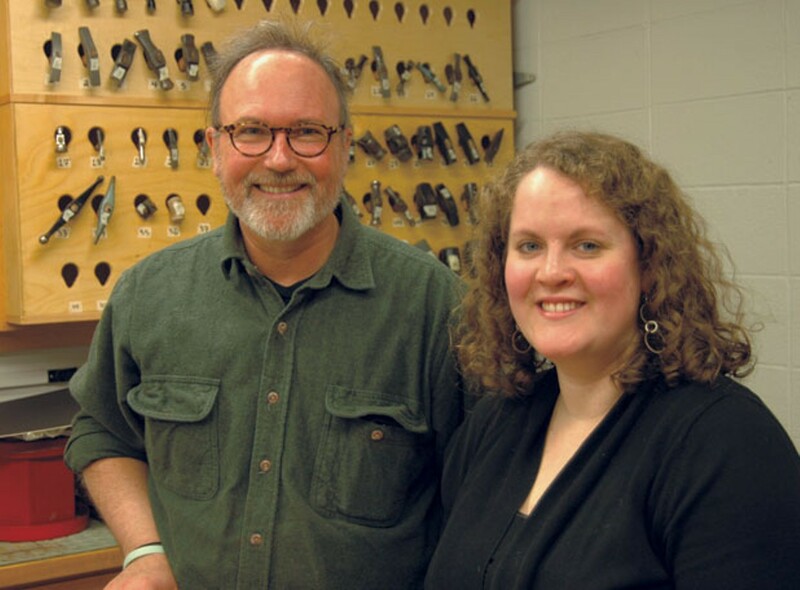 On May 12, the arts center will host a gala exhibition of the jewelry made in the workshops, along with panel discussions, artist talks and lectures from Ethical Metalsmiths staffers and others. The exhibit runs through June 15, and all the funky new pieces of bling will be for sale. Jewelry donors get a coupon toward purchases, and a portion of the proceeds will be donated to Ethical Metalsmiths. 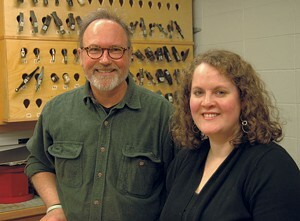 Using Radical Jewelry Makeover as CVI’s debut was the brainchild of Jeff Georgantes, director of the jewelry studio at Dartmouth, who says he’s been trying to get Ethical Metalsmiths to come to the Upper Valley for years. Ethical mining practices might seem a distant trouble in the Upper Valley, but the intentions behind Radical Jewelry Makeover are manifold. Aside from promoting CVI and using the arts to educate the public about a broad ethical issue, the big goal, Pacheco says, is to hold a broad-access event that lets community members get hands-on experience making art — and allows them to choose their level of participation. “It’s something that anyone — from a professional jeweler to a stay-at-home mom to an 8-year-old, or a teen, or a Dartmouth student — can all work on together,” Pacheco says. Kim Souza, owner of Revolution, which sells upcycled clothing, says that Radical Jewelry Makeover’s commitment to recycled, wearable art makes it a “total slam-dunk for a healthy consumer culture. The artists-in-residence for Class Divide developed relationships and ongoing dialogues with community members and created art installations and performances that addressed themes relevant to Upper Valley communities. She concedes that developing that “style” takes time. Future CVI programming will largely rely on feedback from currently underserved constituencies. The first focus group, composed of teenagers and community leaders who work with them, will convene later this month. Learn more about the Hopkins Center’s Community Venture Initiative and Radical Jewelry Makeover, including how to donate (through February 28) and participate in workshops, at hop.dartmouth.edu/online/communityventure.